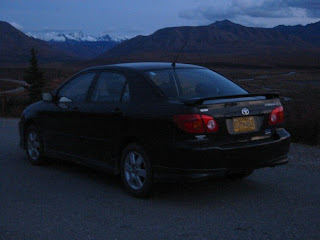 My pretty car back in Denali when she had Alaska plates. 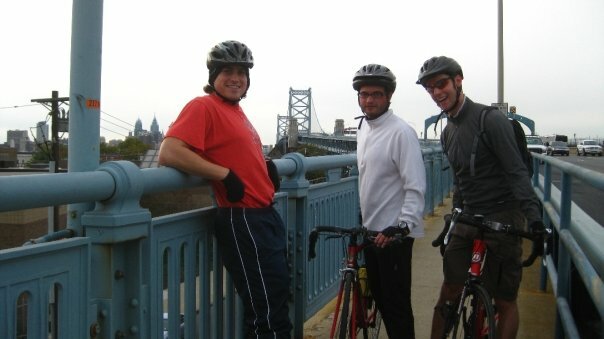 With the increase of the number of bike lanes in major cities, especially in Philadelphia, there's a hot debate about road sharing and how cyclists fit into the picture. There's a lot more to say on this issue, as there usually is on most hot topics, but the subject of road sharing has become particularly prevalent in my life these days. According to the Philadelphia City Paper's recent cover story, Biketopia, the number of cyclists in Philadelphia has doubled in three years and I can see why. Cars are expensive and a royal pain to keep in the city. I have a car, and I love her. But I definitely do not love fighting with other residents for parking spaces, or with the PPA to keep my car in the space without tickets or towing. (Yep, I heard about the TV show "Parking Wars" long before I moved to Philly.) I refuse to move my car from a safe spot unless my life depends on it. Not to mention the blood pressure spikes I experience trying to drive around the city; the use of turn signals is never required, lane changing without looking is a given, and forget trying to get anywhere during rush hour. So, when I go to the rock gym, a friend's house, any location more than ten blocks from which I don't have to carry anything huge, I'll consider using my bike. That opens up a whole new can of worms. I firmly believe drivers and cyclicsts should be able to share the road in a friendly, efficient, safe manner. In a perfect world, every road in Philadelphia would have a bike lane, but right now there is no real network of bike lanes in the city. Lanes will begin and abruptly end. There are lanes on roads that don't need them and no lanes on roads that are in desperate need of them. Many of Philadelphia's streets are so narrow that drivers don't typically notice when there are two lanes present; why not make one of those narrow lanes a bike lane? And folks drive incredibly fast on some of the arterial streets that riding in the bike lanes there absolutely terrifies me. On numerous occasions, I've had cars almost hit me while attempting to use an exit ramp off of an arterial street that crosses a bike lane. At the moment, there are also no Center City bike lanes that run east/west. I've seen cars, especially cabs, block bike lanes on purpose. People use them as an extended shoulder for parking. Drivers need to accept the fact that cyclists are here to stay, and rather than revving engines or speeding past cyclists on roads , they should help cyclists stay safe. And cyclists need to accept the fact that if they're riding on the road, they need to ride defensively and pay attention to traffic rules. On the way to the rock gym last night, I almost witnessed a serious accident between a cyclist and a cab. Three cyclists were riding east on Pine Street, helmetless. One fell a bit behind, and in an effort to catch up, ran a red light and almost got slammed into the pavement by a cab driver. I can't imagine the guy would've survived being hit by a car going 30mph without a helmet. Although I'm guilty of this as well, there is absolutely no good reason why, as a cyclist, you should disobey traffic signals. I won't even enter in to the helmet debate here. And, while I'm at it, why on earth is there a helmet debate? I would argue that a large part of the reason why drivers hate cyclists is because they ride on streets with cars, expect to be respected and treated like cars, but don't behave like cars. As both a driver and a biker, I get extremely angry when I see cyclists weaving in and out of traffic and speeding past cars stopped at traffic lights. True, getting on a bike means using your own pedal power to get somewhere, and it takes you longer to ride one block than it does a car to drive the same distance. But is running a red light or stop sign, rather than waiting like all the other vehicles on the road, really worth it? A good friend told me last night he'd read or heard that our brains are so trained to look for other motor vehicles at intersections that we don't even bother to look for cyclists. Our eyes are trained to see large moving objects, not the small ones, when we're driving. Both cyclists and drivers should be aware of this, and make a more concerted effort to watch out for each other. In a really ideal, really perfect world, we'd be able to model our cities after places like Amsterdam, and other forward-thinking places that have realized the importance of planning around non-motorized and public transportation. We would have bike paths and lanes that connect the entire country, or at least a major metropolitan area. Cyclists would be well respected, and cycling would be recognized as an efficient, healthy, environmentally friendly way to get around. But until then, we're just going to have to share. Are you comfortable cycling on roads where you live? What do you think would make cycling on roads safer? As a driver, what are your thoughts on cyclists on roads originally designed for cars? We'd love to hear from you! There are many points of your article that I wholeheartedly agree with. As both a driver and a cyclist in Philadelphia, it really frustrates me when I see other drivers recklessly endangering cyclists by cutting them off, passing too closely, or edging them out of lanes. It also infuriates me when I see cyclists blatantly endangering themselves, pedestrians, and drivers by blowing stop signs and red lights. I'll admit, I now run red lights and stop signs as responsibly as I can break the law - making sure that no one is coming or making eye contact with drivers and pedestrians approaching the intersection and communicating if necessary. By obeying the law, I have accumulated a really bad concussion, vision impairment from the concussion, glasses to correct said impairment (no one in my family wears them), about 3 or 4 large scars, and a permanent bruise (it's been over a year, it's still blackened), running 6 inches the length of my shin and two inches wide. Why would I ever obey the law when all it has gotten me is injury? At least by continuing through stop signs or getting through red lights when there is a break in traffic, I can stay far enough ahead of the pack that they don't hunt me down for being in their way. 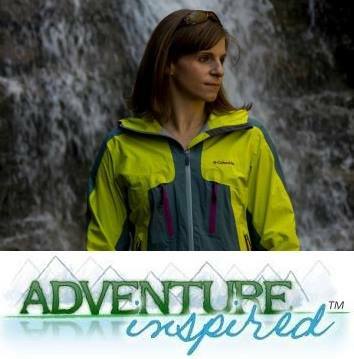 Jerricka - Thanks for sharing, and I'm sorry to hear about your injuries, just awful. I think the best way to make all of this work for pedestrians, cyclists, and motorists is education. I had the hardest time even finding laws pertaining to cycling on the streets in Philly yesterday. In an ideal world, if we all knew how to behave and respected each of the three parties, everything would be fine. I almost got hit by a guy in a suit riding his bike on the sidewalk today. He wanted to go the wrong way down a one way street, and the sidewalk was the only way. At least he was wearing a helmet. I've certainly been guilty of running red lights, especially if it means the cars behind me can see me ahead of them. I just wouldn't be upset if, as a result of breaking the law, there were consequences, i.e. a ticket.